Apprising Ministries continues documenting for you what just may actually be the very beginning of the great falling away as spiritual darkness continues to fall across Christendom. One vivid example is the syncretism of Word Faith mythology within the mainstream of the evangelical community; something, but a few years ago no one would really have expected. A case in point is when popular Seeker Driven prophet-leader Steven Furtick came out last year and declared that blatant Word Faith prosperity preacher Joel Osteen Is A Great Man Of God. It was not that long ago that Word Faith pastrix Christine Caine preached at Lakewood Church’s youth conference, so Furtick finds himself in familiar company. In fact, Caine, who was one of the speakers at Furtick’s Code Orange Revival, actually preached the Sunday service at Elevation Church in January of this year. This only aids in affirming Steven Furtick’s affinity for the aberrant Word Faith gospel, of which Christine Caine is also a promoter. 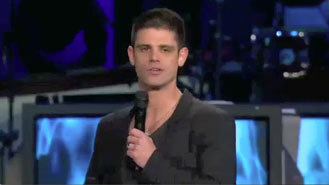 Finally on Wednesday August 29th Steven Furtick got a chance to live his dream to preach at Osteen’s Lakewood Church. As you’ll see in this clip below Joel Osteen himself was in the house.